Public footpaths are shown on this map, a copy of which is also posted at the Village Information Point at Ash Tree Corner. 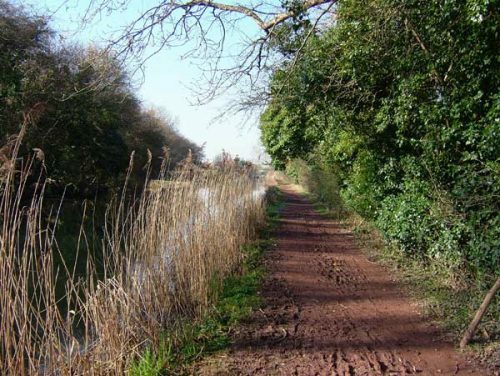 or on the eastwards towpath which has been surfaced for cyclists. The Farm Trail at Elm Farm is open to walkers every day, all year round. See the local walks page for more details of walking routes around the parish. Cycling is permitted on the full length of the Kennet & Avon Canal towpath, but not on footpaths. 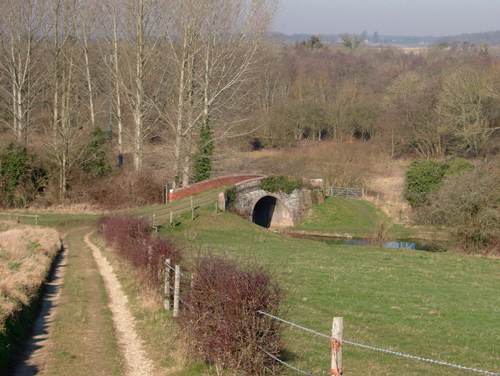 The Kennet and Avon cycle route (84 miles Reading to Bath) passes through Hamstead Marshall using the towpath and Irish Hill Road. A map of the route is posted at the Village Information Point at Ash Tree Corner. For more details try the Sustrans site. The only bridle path within the parish runs across Elm Farm land for about a quarter of a mile. There are others in adjoining parishes. Horse-riding is not allowed on the canal towpath. For a fee riders can sometimes obtain permission to ride across the 300-acre Morewood Estate. Morewood also runs a livery stable. Other riding stables are at Holtwood Farm and at Enborne Equestrian, near Red Hill. Kennections Buses service no.K3 connects Hamstead Marshall with Newbury, and with Hungerford via Kintbury and Inkpen. The route from Newbury bus station runs along Pound Street, the Kintbury Road, stopping at the Craven Arms, Ash Tree Corner, the White Hart and Chapel Corner. There are about five services each way most days from Monday to Saturday. Other bus services from Newbury are detailed here. Nearest stations are at Kintbury and Newbury. This line carries Great Western trains from Paddington to Penzance. Whitchurch (north Hants) station is also not far, and parking is cheaper here (although more limited). This line carries South-West trains from Waterloo to Exeter via Basingstoke. Fast trains to London by either service take about 50 minutes. To plan a rail journey visit national rail enquiries or Qjump for information and bookings. Kintbury Volunteer Group runs a regular Handybus service (with room for two wheelchairs) to Hungerford, Newbury and Marlborough, covering collection and drop-off to homes in Hamstead Marshall. Places are allocated on a first-come first-served basis, and there is a small charge for the service. Ring 01488 657119 between 9-11am weekdays. The group also arranges hospital transport and prescription collection for patients of the Kintbury surgery.